We are heartily inviting all students and their teachers in one of our education programs which we created for you and are available all the year round. 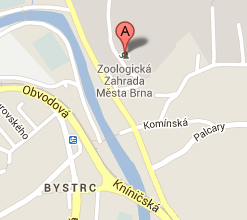 The entrance fee for students is CZK 65, teachers – free entrance. We prepared educational programmes for nursery school children, and elementary and secondary school pupils. Each programme is divided into two parts, with the total time spent on a programme equalling that of three 45 minute lessons. The first part takes place in the audio-visual hall in the zoo’s administration building. The presentation by a zoo staff member, which includes a question and answer session, is enriched by demonstrations involving live animals and natural products, PowerPoint presentations and videos. The children complete the second part of the programme outside in the zoo grounds, filling in a worksheet at the end. The programme aims to familiarize the pupils with new and less well-known animal species from the target region, and also with the negative data regarding the depletion of these animals and the conversion of rainforests into oil palm plantations. Pupils and students also found about the options for nature preservation in the region, and particularly how they themselves can contribute by changing their behaviour as consumers. At the end, they viewed Southeast Asian animals kept at the zoological garden. The aim of the new EAZA campaign is to raise awareness of climate changes, and the importance of Polar Regions to the natural world, and primarily to stimulate people to change their behaviour in ways that favour the preservation of biodiversity in polar and other regions. Our Mammals I, IIThe self-service working papers fee for pupils is CZK 50, teachers – free entrance.